To me it's fun to grow cabbage in the garden just to see how big they can get. Our cabbages so far are running just like last year about 7 or 8 lbs a piece! Of course it helps if you like cabbage as much as we do! This Fried Cabbage recipe is one our favorite recipes this time of year. It was one of those dishes my husband wanted me to know when we first got married. You see he was 600 miles from his boyhood home and would sit around dreaming of dishes his Mom would make. So I would try and recreate them until he finally would say "Now that's how you make it." Anything to make him happy! 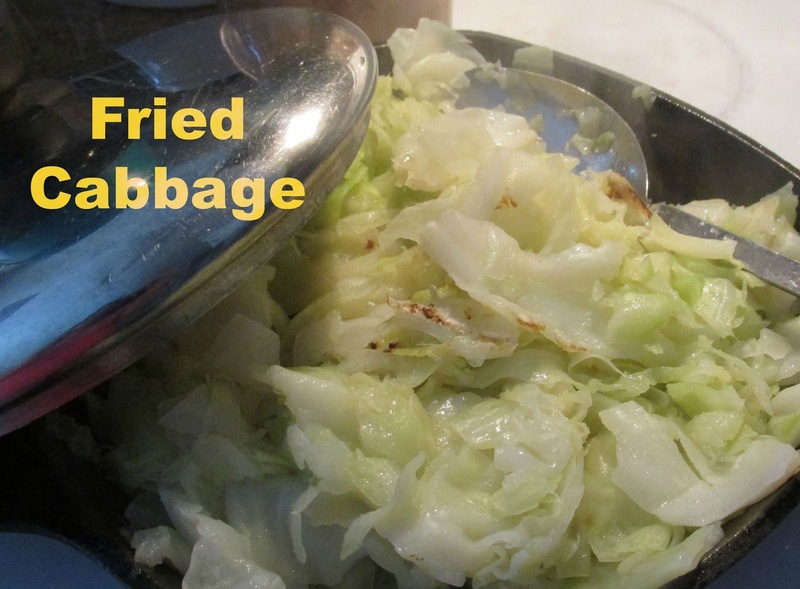 Boil cabbage in large pot until tender (about 10 to 15 minutes). Drain completely (you don't want splatters) in an colander. Add 3 tbsp of oil to a large skillet on medium heat then add drained cabbage. Turning frequently so as not to burn and cook for another 10 to 15 minutes.